Military Women with the emulation movement "Unite - innovate, fulfill the tasks, build up happy families, deserve to be Uncle Ho’s Soldiers"
During the past 70 years, in response to President Ho Chi Minh's call for Patriotic Emulation, the Patriotic Emulation Movement by all classes, levels, branches and organizations has been tightly organized and deeply developed, encouraging people to overcome difficulties and successfully fulfill assigned tasks. Sharing that spirit, the emulation movement of the Military Women has always been creative, practical and specific, closely linked with the patriotic emulation movement launched by the Vietnam Women’s Union Central Committee, bringing about practical effects in the revolutionary periods under the leadership of the Party. In the resistance wars against the French colonialists and American imperialists, the typical movements were "Five-good Women", "Everything for Dien Bien Phu Victory", "Determined to defeat the American invaders", "Three responsibilities against the US, for national salvation and construction", etc., which joined the Party, the people and the whole army in achieving glorious victories, liberating and unifying the country. In the Renewal era, Military Women participated in almost all fields of work, all over the country, regardless of their position; they always brought into full play the tradition of "Heroism, determination, faithfulness, resourcefulness”, responsibilities and self-help for self- improvement, promoted the studying and following of Ho Chi Minh’s ideology, morality and lifestyle and the campaign “Uphold traditions, devote talents, deserve to be Uncle Ho’s Soldiers”. During the resistance wars, especially the resistance war against America, there were many shining Military Women examples, whose names had gone down in the glorious history of the nation, such as Nguyen Thi Dinh, Dinh Thi Van, Kan Lich, Tran Thi Ly, Ta Thi Kieu, La Thi Tam, Dang Thuy Tram, etc. Following such tradition, implementing the Resolution of the 12th Vietnam National Women's Congress (tenure 2017-2022), Plan 65/KH-DCT on May 16th, 2017 by Vietnam Women’s Union Central Presidium on launching the emulation movement “Women enthusiastically study, creatively work and build up happy families”, the campaigns “Strive for the moral qualities: Self-confidence, Self-respect, Faithfulness, Resourcefulness” and “Building the family of 5 nos and 3 clean-s”, the Military Women Union are promoting the emulation movement with the title “Unite - create, fulfill the tasks, build up happy families, deserve to be Uncle Ho’s Soldiers". The objective of the movement is to specify and achieve the targets and tasks in the Military Women's 5-year Action Program (2016-2021) and the “Determined to win” emulation movement. In particular, the movement focuses on encouraging and bringing into full play military the potentials, creativity and active role of all women's leaders and union members as well as women's organizations at all levels in the patriotic emulation movement and women's activities; responding to emulation movements and campaigns at unit levels, ready to receive and fulfill all assigned tasks; continuously improving and fulfilling women's qualifications. These things help contribute to the fulfillment of the unit’s political tasks and the building of strong and pure party organizations, comprehensive strong units and Vietnam Women Union’s exceptionally strong organization. Favourable conditions are created for all members in any position to participate in and bring into their role during the movement. The emulation contents and standards need to be suitable with the reality and each participant’s condition. The emulation methods need to be diverse and attractive associated with the Vietnamese Women’s patriotic emulation movement, the “Determined to win” Emulation Movement and the Campaign “Uphold traditions, devote talents, deserve to be Uncle Ho’s Soldiers” in the Military. At the same time, attention should be paid to promoting the women organizations’ proactive and creative role in defining the emulation forms, which need to be in line with the characteristics and specific situations of each unit and women's organization; to improving the material and spiritual life of women, especially who live in the families under preferential treatment policies, who work in remote areas, in combat and production units, etc. During the process, the movement has achieved initial encouraging results. So far, 100% of the union members register to achieve the emulation targets; only in 2017, 97.2% (1.2% exceeded) of the union members reached three criteria set by the movement and achieved the title "Advanced Member", of which 52.5% (2.5% exceeded) won the title "Excellent Member". Nearly 500 members at all levels were praised and rewarded; 13 good women examples were honored in the Military preliminary conference of the 3rd anniversary of the campaign “Promote traditions, devote talents, deserve to be Uncle Ho’s Soldiers”; 36 typical groups and individuals were rewarded by the General Department of Politics in the movement "Following Uncle Ho’s practice of saving, helping each other reduce poverty sustainably" and the movement "Military Women help each other to develop family economy "; 01 group and 01 individual received the Vietnam Women's Award 2017. The movement has been carried out widely in close association with the campaigns and achieved comprehensive, practical results. Furthermore, good models are well maintained and expanded, such as: "Civilized and modeled military residence", "Military residence without social evils and family violence", “The green roofs", “green area”, "clean barracks", "clean mess", "clean vegetable garden", "reasonable nutritional meal", etc. Medical units also apply "3-clean" criteria, such as "3-clean operation room”, "Civilized, clean and neat clinic ". In the movement “The Army join hands to build new countryside", 92,525 women at all levels have been actively involved, with the models "Building Women's Self-Governing Road" and "Self-managing neighborhood", contributing more than 14,000 working days, renovating the environment and rural roads, dredging canals and ditches, cleaning the environment after floods and natural disasters to partly stabilize people's life. Besides, the Union gives donations and gifts, builds 39 “Houses of affection” for women in the area; carries out free medical examination and treatment to nearly 15,000 beneficiaries, people in remote areas; donates more than 2,000 sets of uniforms, warm clothes, hundreds of tables, chairs and bicycles to poor children in rural and mountainous areas. The Union members actively participate in building "green, clean and scenic" environment in the units, with 23,100 working days to grow more than 10,000 trees of all kinds, etc. The movement has made a great contribution to building strong women staff and organizations. Up to November 2017, 99.78% of female cadres held bachelor’s degree (in which, 36.6% at post graduate level). 1,016 female Party members were added, increasing by 0.09% compared to that of 2016; the percentage of female Party committee members at all levels was 2.27%, 0.02% higher over the same period of 2016. According to the review and analysis of organization quality, 92.5% of the Women's Unions achieved "Strong" (2.5% exceeded), of which 53% achieved "Excellent" (03% exceeded). The movement aims at raising the quality and effectiveness of mobilizing women in the organization’s activities, and well organizing the socialization work of preschool education and education promoting activities. Adhering to the viewpoint of the Union "Where there are women, there are the union’s activities", 100% women staff in the army are mobilized in the union’s activities. Typically, Corps 15 and 16 have encouraged nearly 3,000 minority women to participate in the union’s activities. The Military Women's Union has always maintained the rate of 98.6% active members. The Union continues maintaining and promoting the effectiveness of preschool education, regularly maintains 88 kindergartens with 263 positions; the children’s attendance rate is higher and higher, between 90% and 95%. The number of children enjoying boarding meals increases by 0.96%. In particular, 38 disabled children joined community education; over 1,500 children from ethnic minorities were looked after and educated. Last year, 43 teachers were recognized as "Excellent Teachers of the Military"; 41 others were awarded the title "Good Teacher at Ministerial level"; 04 comrades were proposed to receive the title of meritorious teachers. 3,924 outstanding pupils were praised, and 1,200 scholarships for poor pupils were presented. The movement has also encouraged members to provide financial support for other and effectively managed funding for poor women. The percentage of members participating in financial saving activities in the women organizations is over 90%. By the end of 2017, the total savings amounted to 90 billion VND, allowed 27,790 members to borrow loans for family economic development; supported 598 families in difficulties with the amount of nearly 2 billion VND; built and repaired 39 houses for military women in difficulties, each worth from 50 to 70 million VND. 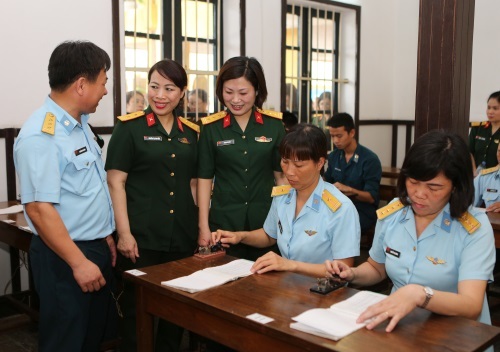 The Union maintains the loan of 50 billion VND of the Ministry of National Defense for women’s economic development with 1,717 members receiving money, ensuring that 80% of women in the army are supported. The above results lay the foundation for the Military Women to promote the emulation movement "Unite - innovate, fulfill the tasks, build up happy families, deserve to be Uncle Ho’s soldiers", to improve the quality of the fulfilled tasks, and to build the increasingly perfect Military Women and strong organizations. 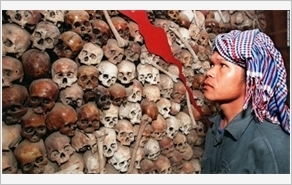 This is a convincing proof for the everlasting value of Ho Chi Minh's ideology on patriotic emulation; it is the guiding torch to encourage all people and organizations to successfully complete their assigned tasks, contributing to the building of the Military and firmly defending the Socialist Motherland of Vietnam.